We have been getting hammered with all sorts of weather the past couple days. I want to thank all the Battle for Burlington competitors and staff for being patient and cooperative with our changes to the event. I'm sorry the mother nature foiled the plans. 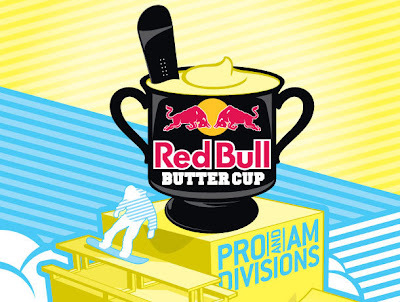 There are two competitions this week at the BV: our team challenge for Night Riders this Wednesday night, and Friday night we have the Red Bull Buttercup. The Buttercup is a unique event featuring four buttery features which we will be setting up in the Jungle Jib. As a result we will be closing down the Jungle Jib Tuesday or Wednesday to start removing features. Due to our legal agreements with Red Bull, the Jungle Jib will remained closed until the competition. We hope to rebuild the Jungle Jib with exciting new lines on Saturday.